Do I need a new tennis racquet? Do I need a new tennis racquet? This is a question I get in various forms a few times a week. I have answered it in a way before but wanted to give a slightly different take on it this time. There are a few situations when you need to ask yourself the question: Do I need a new tennis racquet? Here is a list of the most common ones. Your racquet is broken. Yes, you definitely need a new one. You only have one racquet and want one more so if the strings break you can play with the same feel. Fine. Go ahead. I have six of the same racquet and I am not a pro. You want to a racquet that is easier to play with. This usually means a bigger sweet spot, more power, and spin. Beware of stiffness, however! You want more control or feel from your racquet. This makes the racquet a bit more difficult to play with but gives you pinpoint precision if you have the game for it. You are feeling pain somewhere due to racquet stiffness. This can be a technical issue, but if it is the racquet, I would really recommend looking for a more arm-friendly one. These are all fairly obvious answers. But then there is an aspect where you just want to try something new or different. 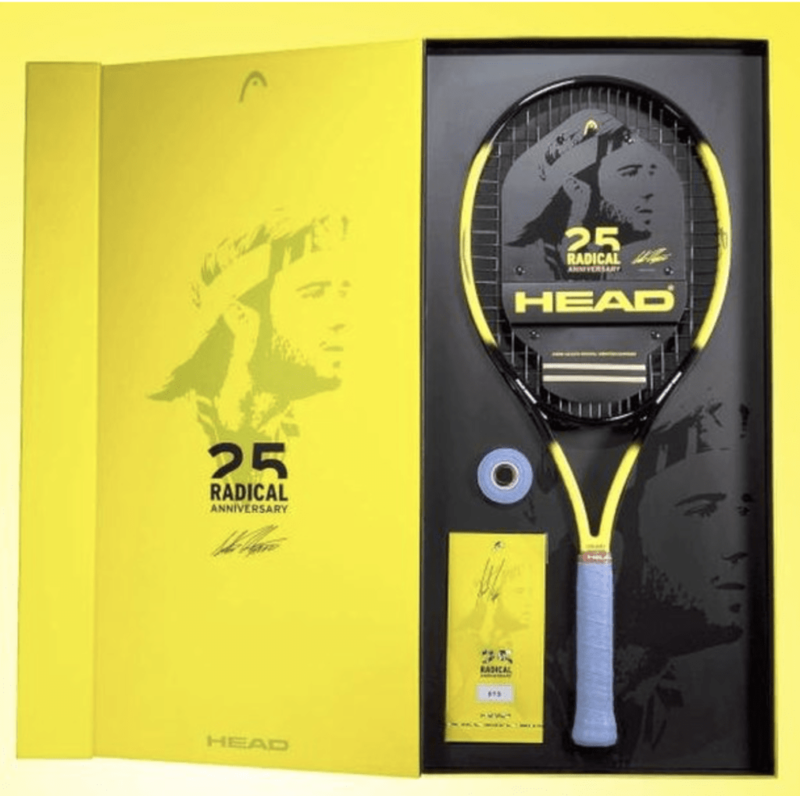 It could be a purely emotional decision or it could be based on that you want to change your game style and need a new racquet to help you achieve this. We all like to buy new stuff and we get bombarded with new products and advertising for them every day so it would require a lot of willpower to resist it. Do I need a new tennis racquet? It depends. Let’s say you are playing with an “old” racquet. It is from the early 2000s. You are used to it so you play pretty well with it. But you feel like everyone is playing with newer racquets and there must be something to it, right? Well, it is rarely that simple. I would frankly say that not much has happened in the evolution of racquets the last ten (or even twenty) years. Sure, new materials and technologies are introduced all the time, but when it comes to the performance of your tennis racquet, these will rarely bring you groundbreaking results. 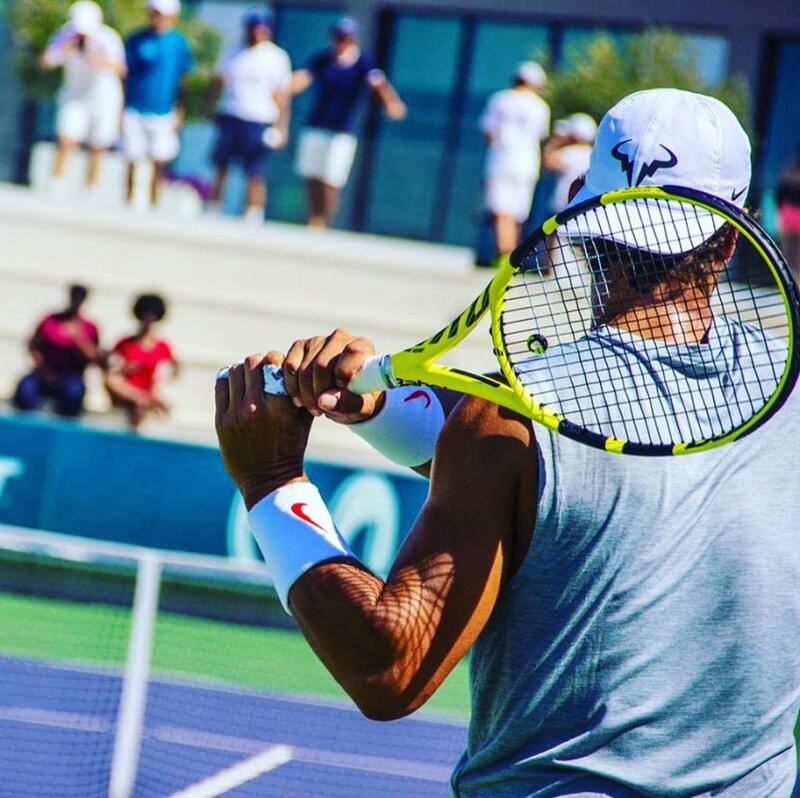 If we use the Babolat Aero Pro Drive (now called the Pure Aero) as an example, it is a racquet that allowed Rafael Nadal and lots of other players to hit with more spin. How? The APD had an aerodynamic beam which allowed it to be swung faster to generate more spin. It also had a 100 sq inch racquet face and a relatively generous sweet spot. The first edition of the Babolat Aero Pro Drive came out in 2005. It did not have a lot of fancy technologies and was focused on the aero beam. Now, more than 13 years later, it is time for the sixth iteration of the Aero Pro Drive (second of Pure Aero) and although there are a lot of new technologies present, I bet not much has changed when it comes to playability and performance. The first Aero Pro Drive is still the one that Rafa uses under various paint jobs. Not because it is a much better racquet than the predecessors, but because he is used to it. He could probably switch to the new version, but it would take him a lot of effort and time to groove with it and I doubt we would see any improvement in his game from the racquet so why would he? Do I need a new tennis racquet? Really? Rafa has hit several million tennis balls in his lifetime. His racquet has become an extension of his arm. During the course of his career, his team has made some minor adjustments to his setup when it comes to adding weight (lead tape ) and playing around with strings (he tends to go back to his trusted RPM Blast , however). His tennis game is a constant work in progress. This is not the case for recreational tennis players, tennis coaches or even advanced players that don’t compete professionally. We can play around a bit more with racquets and strings, simply because it is a lot of fun to experiment. The racquet and strings are an important factor even for recreational players, but not near the level of a tennis professional. Still, there is a case for building your racquet into your game so you can depend on it a hundred percent. Adopt the mindset of the pro’s and work on your game instead of your racquet. That being said, there are moments when a change is good. It could be minor or major, but there are of course times when a racquet change becomes a part of your transition into a better player. It is hard to argue against that Federer’s revitalized game during 2014-2015 was in some part due to his new racquet – the Wilson Pro Staff RF97 Autograph (read my review). But at the time he used a 90 sq inch racquet in a game where dealing with massive topspin was becoming more and more important. The sweet spot was simply too small, even for Federer. Do I need a new tennis racquet? Ask yourself twice. But I am not Federer and unless you, Roger, is reading this, you are not Federer either. So I suggest you think long and hard before you buy a new racquet. These are things you should think about when considering buying a new tennis racquet: What am I looking to improve with this new racquet? And can it not be found by changing strings, tension, adjusting the grip or adding lead tape to my old racquet? Your choice of tennis strings is of course important. It is a vital part of your racquet. Just imagine how hard tennis would be without them! A great racquet can play really badly with the wrong strings, wrong tension or simply dead strings. Also remember that if you want more stability, power, swing weight or a different balance – this can all be changed by adding lead tape. But if you want to reduce the weight of your racquet – well, then I really suggest you hunt for a new stick instead. Do I need a new tennis racquet? Old vs new. Like I wrote above, not much has happened with racquet technology in the last ten years. I review new racquets all the time and have done it for years. Still, I play with a racquet from 2004. It is simply the racquet I feel most comfortable with. Sure, I am often lured to go for a lighter, more powerful racquet, but although I might have my honeymoon period, I tend to always go back to “old trusty”. 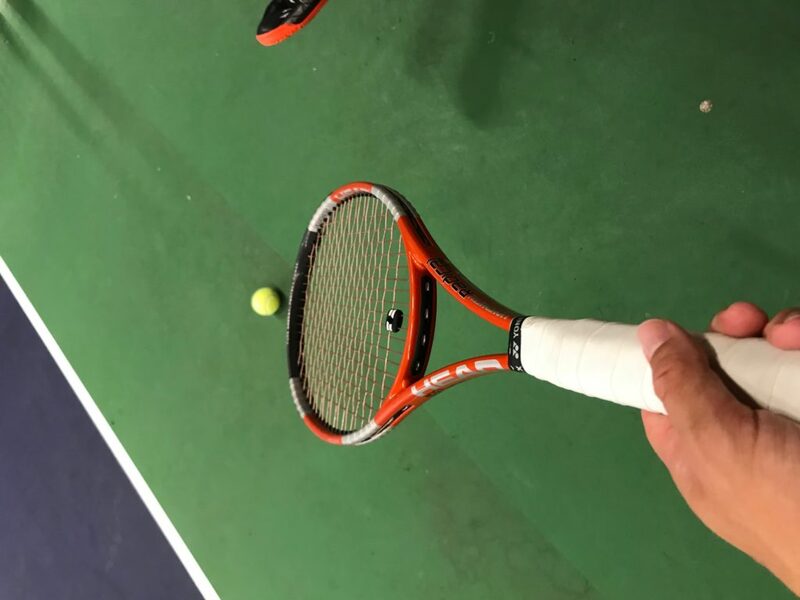 So if your racquet from the 2000s is in good shape and you enjoy playing with it – I am not sure a new racquet will do you any favors. You can use the money for tennis lessons instead and I am sure your game will grow more than it would just by buying a new racquet. Also, you might not need to buy a new tennis racquet. Just check out “used” listings online and I am sure you can find something that works for you while saving some money too. You rarely play much better with a racquet from 2018 compared to a racquet from 2011. 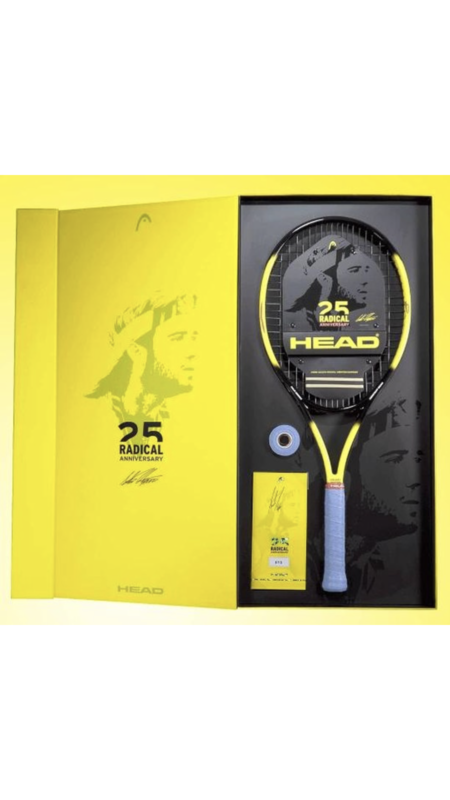 There are plenty of good racquets released every year, but if they were much better than the racquets released in 2006, why would most professional players still use older versions painted to look like new? Do I need a new tennis racquet? Summary. You might need a new racquet, you might not. But if you don’t ask yourself some critical questions beforehand about what is wrong with your current racquet, you might find yourself down the rabbit hole of most tennis nerds (such as myself), where you never commit to a racquet. This makes you second guess the racquet and string choice instead of looking at your game and saying things like: I need more fitness, I need to work on my backhand, my footwork is sloppy, I get too nervous in match situations, etc. Buying a new racquet is a lot of fun and it is always exciting to test a new frame. But it is rarely the remedy to things that are wrong in your game. So make sure you think twice and really consider what racquet you need for you to take your game to the next level. Maybe it is not a racquet that will do this for you, but just hard work on the court? 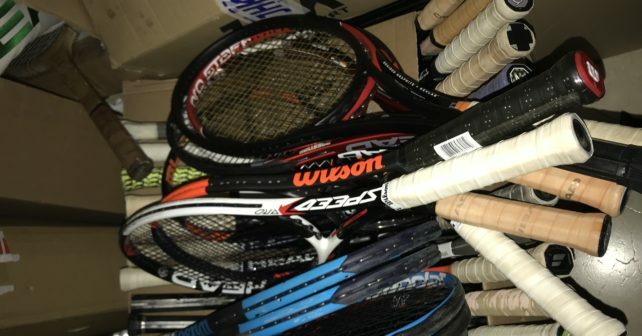 Do you need a new tennis racquet or not? Tell us your story in the comments below! I’m on this side, I play with head xt prestige pro, quite good, but I Feel the little sweet spot and mainly the lack of power makes me make some mistakes, whjat racquet would be a “lttle” easier to play with a bit more power and bigger spot? Yonex DR 98 (Yonex VCORE 98 is decent too). All of these should make tennis a little bit “easier”. I am using head speed pro touch. I ve finaly found strings combination which suit me. Hybrid, monofilament on mains and multi for crosses. Now i am consider to move for a more spiner monofilament for mains as luxilon alu rough. I had a lack of feel but i added a leather grip, also added lead tape on 3 and 9 o’clock for stability. Don’t feel any need for modern racquets. Most of them are too stiff, they feel hollow and with no feeling at all, and I don’t play a modern top spin based game. Sounds like a good plan. The HEAD Graphene 360 Speed Pro is a nice racquet, might feel a bit jarring to some though so demoing is always recommended. You can buy the Zepp sensor from me if you want hehe. I have been playing with a Volkl catapult 6 for years.it feels good and I enjoy that it is flexable. I use a 4 3/8 grip. My tennis pro suggested that I drop to a 4 1/4. The tennis shop says they cannot change the grip size so I have been demoing rackets with av4 1/4 and the grip size feels good. What is the closest racket to the catapult 6. I like a flexible racket with some power. The Catapult 6 is not a bad racquet. I would check out Head Graphene Touch Radical S (similar weight, but slightly stiffer) or Prince Textreme Tour 100T (a bit heavier, but nicer feel). If you really like the Catapult 6, it is possible you can find used/new online. I am a regular follower of yours on Youtube. I have a Head Youtek Extreme Pro 2.0. Its a pretty decent stick, but the grip is 2 sizes smaller than what I would prefer. I have used Siz-Up to increase the grip size. However, it made the racquet a bit too heavy besides changing the feel. Could you suggest me alternate racquets or an easier way to change the grip. 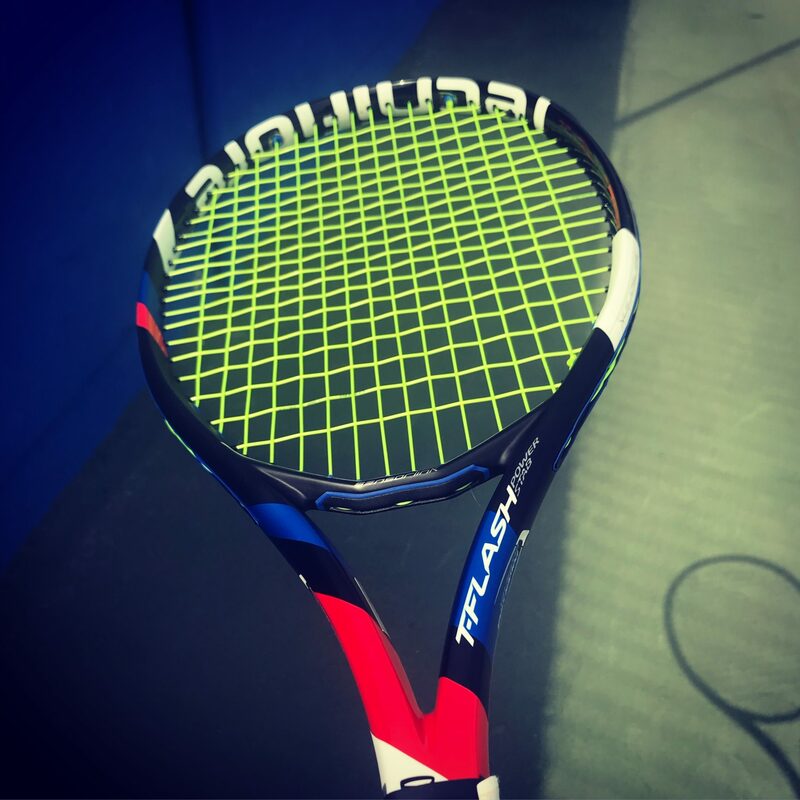 The HEAD Extreme IG Pro 2.0 is a nice racquet. Since HEAD has a pallet system you can buy a new grip pallet and replace the grip size. It depends a bit on your technique and what you are used to. If you play with a lot of spin, going down in head size might require more of an adjustment than if you are hitting flat. It depends on what you are looking for compared to your old racquet. If you want more weight on the ball or stability, you can just play around with adding some lead tape on your current racquet. If you want more spin, then I think the new Pure Aero could be a good choice for you. I think this is a great piece. It’s always fun trying new racquets, but over the last couple of years, I’ve come to realize that newer isn’t always better. I was a long-time user of the Head LM Radical MP but switched to the Wilson Pro Staff 97 earlier this year after a demoing it for a few weeks. I felt some improvements with my two-handed backhand and service returns, and noticed some additional power as well. But, I ended up developing tennis elbow using the Pro Staff 97 because of the increased stiffness. I tried different strings and tension, but to no avail. I recently decided to go back to the older Radical line. I’m using the Microgel Radical MP now and am loving it! The elbow pain is gone and I’m still hitting a decent ball. I would like to get some advice from you, though. If you like the balance and feel of a racquet but think it’s a little light, where would you recommend adding weight? I’ve been told numerous things, but thought I would ask you because of your experience and expertise. Thanks, and keep up the good work! Yes, the Pro Staff 97 is a stiff line of racquets sadly. I have heard stories about wrist pain and elbow issues from people using the newer Pro Staff 97. Nice to hear that you found your way to the Microgel Radical MP. Great stick and very soft. I would recommend adding lead tape at 10 and 2 for that racquet. You will get more power and stability out of that. Start low with 4 grams and add some lead tape underneath the grip if you want to maintain the balance of the racquet. If you want to add more lead tape at a later stage you can add at 8 and 4 as well and you have a weight setup similar to the Liquidmetal racquet but a softer feel. Stringing low is also nice on that stick.